Escape the winter blues. Visit Spain’s Costa Blanca! The Costa Blanca, famous for its scenic coastline, has a hidden secret its beautiful Mountain ranges. These mountains are known as Sierra’s, there are many in the region and our walking holiday “Discover Costa Blanca’s Sierras” is tailored so that you can explore the main ones and the villages that nestle on their slopes and valleys. 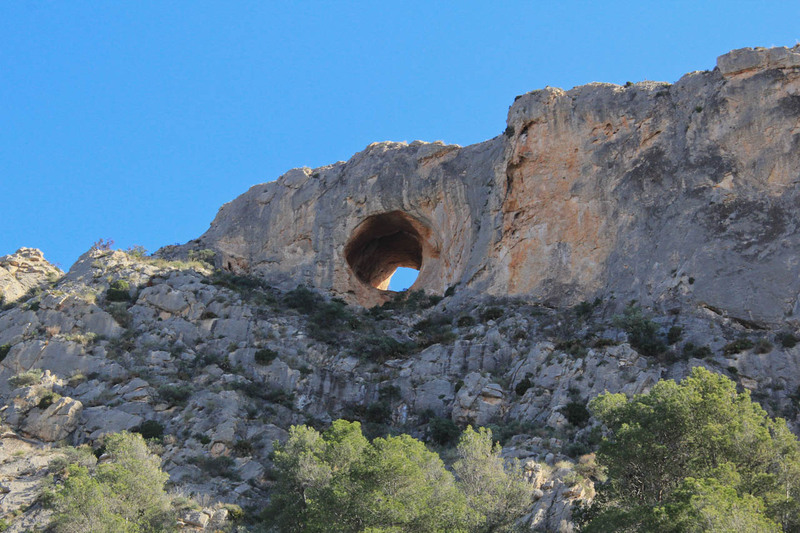 This week will give you a chance to discover the Sierras of the Costa Blanca, including their geology, wildlife and history of the area where ruin’s of the moorish times are still visible. A knowledgeable guide will take you everyday to a different area. Arrival at Alicante airport and transfers to accommodation. 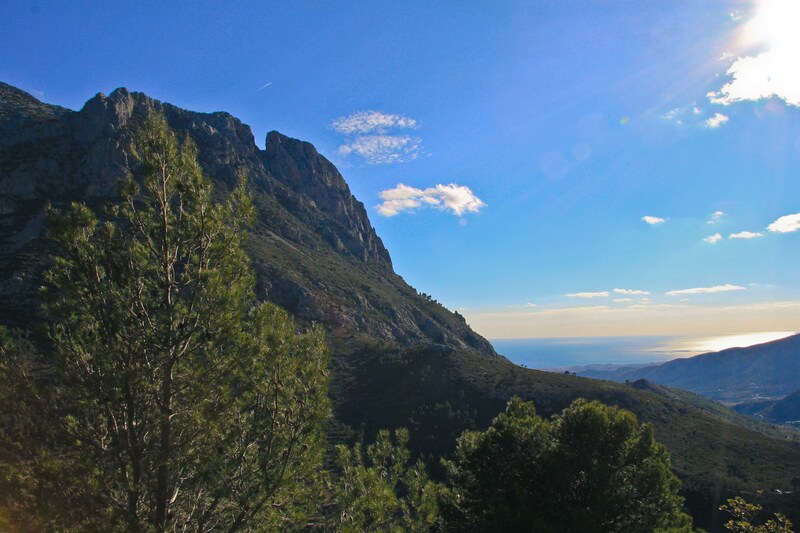 The “Sierra de Bernia” is a long ridge that dissects the coast line and runs from the coast to Callosa d’en Sarrià. The circular walk includes the ruins of a 16th century fort and a natural tunnel that goes straight through the base of the ridge. Furthermore, you’ll get a first impression of Costa Blanca’s diverse landscapes – Its coast lines where beautiful beaches alternate with soaring cliffs and its green and fertile valleys which are interrupted by the craggy “Sierras”. Puig Campana is a dramatic mountain. The western summit of the mountain has a prominent notch and craggy rock formations while the eastern side holds the main summit. The flanks of the mountain are covered in pines. And its summit offers fantastic views on all sides of the mountain, including the coast line and the dragon backed ridge of the “Cresta de Castellets”. This day is a chance for you to visit two of the most picturesque villages in the region, Guadalest which is nestled in the mountains and Altea by the sea. This sierra runs north to south inland and has a summit of 1200m, it is a dramatic Sierra with soring cliffs and pine forests. At the end of the walk there is the opportunity to visit the Caves of Canelobre, a show cave with exquisite limestone formations and guided tours. On our last day we’ll visit the Aitana. This circuit takes in the highest Sierra on the Costa Blanca takes in the “Font de Partegat” and the dramatic north facing walls of the Aitana. There are also the historic snow caves spread along the route which were used till the 19th century to collect snow during winter and to use that snow during the year to prepare ice-cream, to preserve groceries and to cool down fever. 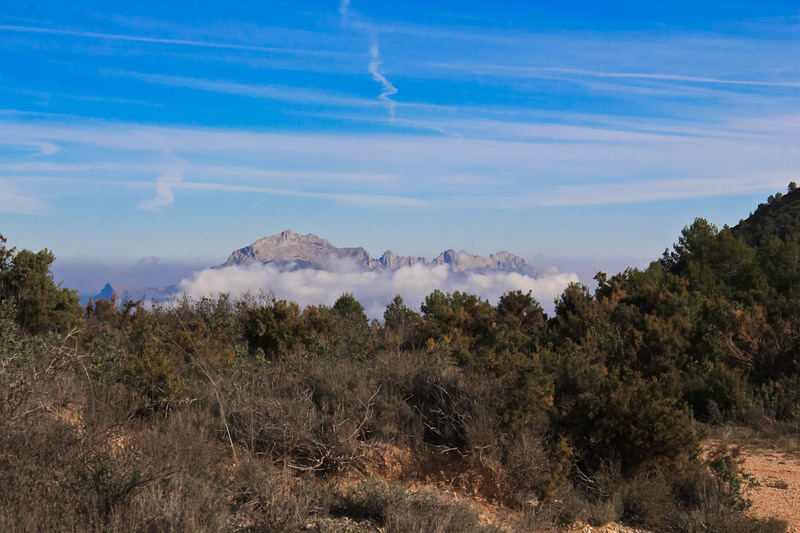 The summit is offers great views of the area especially of the Guadalest Valley. The week is designed to give you a varied holiday in this great area, if coming as a single group there are alternatives that can be arranged. We will be accommodating in a local hotel but if you prefer self catering then this is also an option that can be arranged. If coming as a group the start date is flexible. BOOK NOW or contact us for any further information.